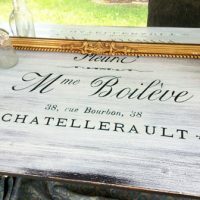 Today’s reader featured project is a fabulous Chalkboard Menu that was submitted by Susan from Sunflower Hugs, and I LOVE IT! 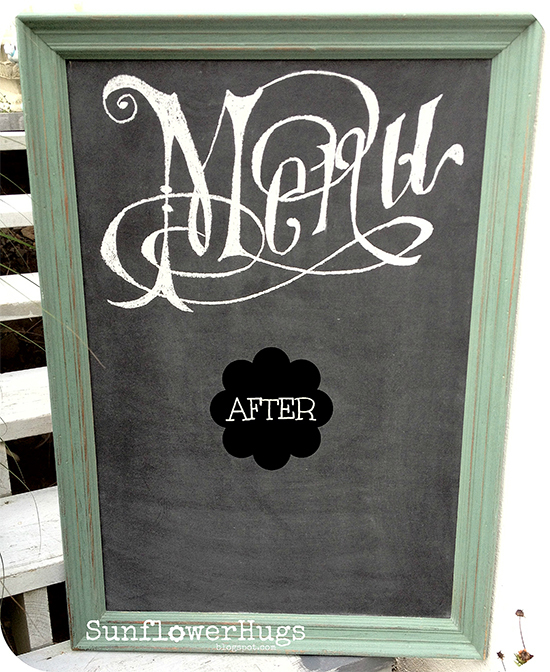 Susan found an overhead projector on Craigslist, and her first project was to take a chalkboard that she made from an old piece of framed artwork, and turn it into a menu. 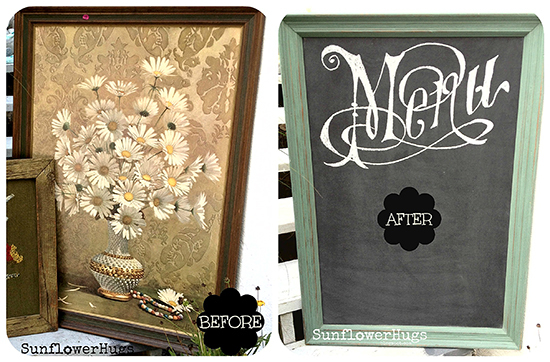 She made home made chalkboard paint, and painted the framed artwork, then seasoned it with chalk. Next she used this Vintage Typography Menu Graphic and had a transparency printed at Staples. She used the overhead projector to apply it to the chalkboard. You can find the full tutorial on Susan’s blog, Sunflower Hugs, HERE! Can you believe the before and after? Just amazing! 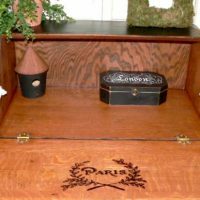 Do you have a project you would like to submit? 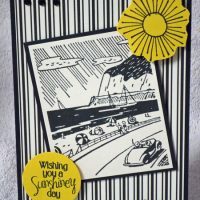 Simply share it, HERE, and maybe you can be featured next!